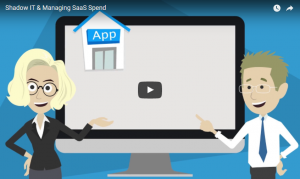 The post Shadow IT & Managing SaaS Spend appeared first on Vector Networks. 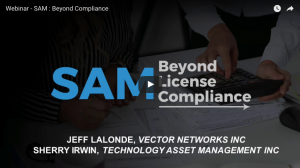 The post Webinar recording – SAM: Beyond Compliance appeared first on Vector Networks. The post IT Asset & Service Management Configuration Tools and Customization appeared first on Vector Networks. The post Vizor for SCCM appeared first on Vector Networks. 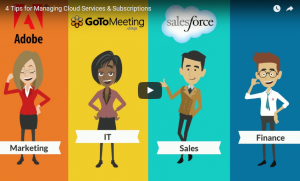 The post 4 Tips for Managing Cloud Services & Subscriptions appeared first on Vector Networks. 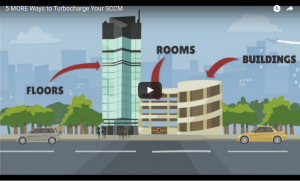 The post 5 MORE Ways Vizor Can Turbocharge SCCM appeared first on Vector Networks. Here are the second 5 of our 10 ways to turbocharge your Microsoft SCCM infrastructure for improved IT & software asset management. Organizations can implement these processes to get more out of raw IT asset data from SCCM. 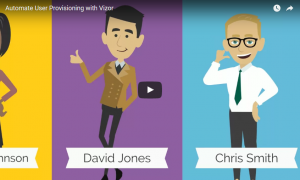 Vizor offers all of these features and more for improved IT & software asset management. 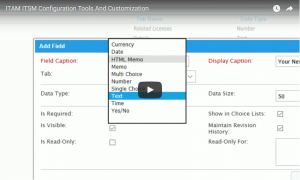 The post 5 Ways Vizor Can Turbocharge your SCCM appeared first on Vector Networks. Here are the first 5 (out of 10) processes that organizations can implement to get more out of raw IT asset data from SCCM. 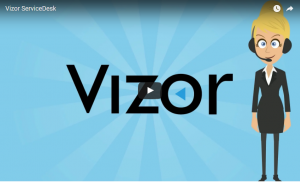 Vizor offers all of these features and more for improved IT & software asset management. 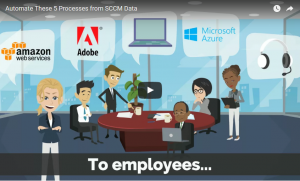 The post Automate These 5 Processes from SCCM Data appeared first on Vector Networks. Many IT managers use Microsoft SCCM to obtain valuable IT data for their organization. Although SCCM provides tons of inventory data, it is difficult to carry out software and asset management processes using just this system. However, when used in conjunction with an asset management tool like Vizor, you can automate critical processes with the data received from SCCM. The post Top 5 IT Tasks to Automate appeared first on Vector Networks. 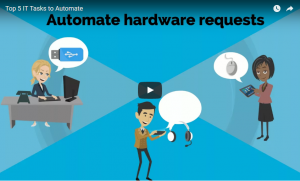 Many systems are now available that boast automation in software requesting, deployment, and provisioning for IT managers & workers. Here are our top five tasks that should be automated to improve the quality and time spent in accomplishing IT work. 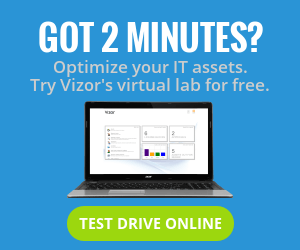 The post Vizor Software – Software Asset Management appeared first on Vector Networks. 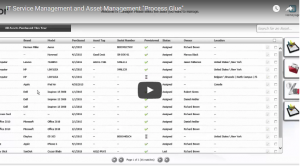 01:46 Minutes – Recorded 13 May 2016 Vizor Assets manages the complete IT asset lifecycle with a central repository combining network discovery and inventory data with purchase, warranty and maintenance details. Allocation of assets to employees and locations is simplified so you always know exactly ‘who has what’. 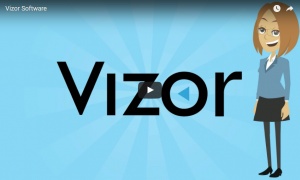 The post Vizor Assets – IT Asset Management appeared first on Vector Networks. 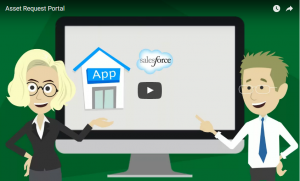 01:32 Minutes – Recorded 13 May 2016 Vizor ServiceDesk is a comprehensive helpdesk issue tracking system with features including powerful email integration, SLA support, knowledgebase, team-working, automatic ticket assignment and a self-service portal. 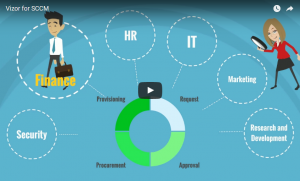 The post Vizor ServiceDesk – IT Service Management appeared first on Vector Networks. The post The Asset Request Portal appeared first on Vector Networks. 01:31 Minutes – Recorded 12 May 2016 Discovery tools such as Vector Discovery or Microsoft SCCM provide vast quantities of data regarding software installed on a network. The process of normalization transforms all this data into actionable information which can be used for license management. It also creates consistency in software asset details, such as … Continue reading What is Software Inventory Normalization? 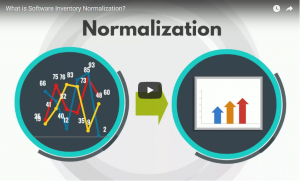 The post What is Software Inventory Normalization? appeared first on Vector Networks. 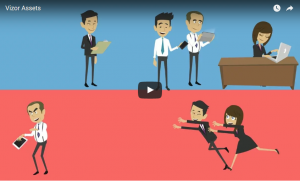 01:37 Minutes – Recorded 05 May 2016 The on-boarding of new employees can be frustrating and time-consuming for IT managers. Luckily, the Vizor system can make life a lot easier by orchestrating and automating the provision of assets. The post Automating User Provisioning appeared first on Vector Networks. 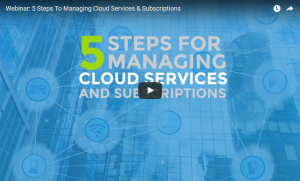 The post Webinar recording – 5 Steps To Managing Cloud Services & Subscriptions appeared first on Vector Networks. 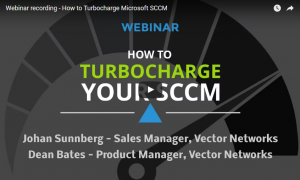 The post Webinar recording – How to Turbocharge Microsoft SCCM appeared first on Vector Networks. The post Webinar recording – 5 steps to better Software Asset Management appeared first on Vector Networks. The post Webinar recording – ITSM and ITAM Process Glue appeared first on Vector Networks. It was recently my pleasure to participate in a webinar hosted by one of our North American partners, KOHO Software. I would like to thank KOHO for organising the event (linked below), in which a selection of top IT service and asset management vendors each had a short time to position their solutions to an audience of ITAM/ITSM profesionnals. During the presentation I focused on a key differentiator of Vector IT Service and Asset Management solutions, what I call Process Glue. Process Glue or Provisioning Lifecycle Management or IT Business Process Management is unique to Vector’s solutions, particularly at Vector’s price point. So what is Process Glue? Process Glue links not only the ITSM and ITAM worlds within IT but also IT to the rest of the business. To give an example, when an employee starts on a new project, Vector’s role and policy functionality ensures the employee has access to the required systems and assets in order to fulfil their role on the project. This process may include cross referencing the asset management system to determine if the required hardware assets are available in stock or if new hardware needs to be purchased. Integration with the license manager ensures the organisation has enough software licenses for the employee ensuring the organisation remains legal and compliant. After approval from line managers and resource owners the required change requests are created in the IT service desk. If IT desire they may automate some tasks such as adding the employee to the required security groups and organisational units using Vector’s Active Directory adapter. Vector not only provides the Glue between ITSM and ITAM systems but also provides any of the systems throughout the process such as the asset manager, license manager and ITIL service desk. The flexibility of Vector’s architecture means organisations don’t need end to end Vector solutions. Vector simply integrate with other assets discovery solutions such as Microsoft System Centre (SCCM) and a plethora of helpdesk ticketing solutions. Are your Service Management and Asset Management systems glued together?